Favors was originally selected by the New Jersey Nets, but was traded to the Utah Jazz during his rookie season in a deal that involved Deron Williams. Considered by many to be one of the most talented (but raw) athletes in the 10/11 NBA draft, Favors showed some signs of life during a fairly uneventful rookie season. 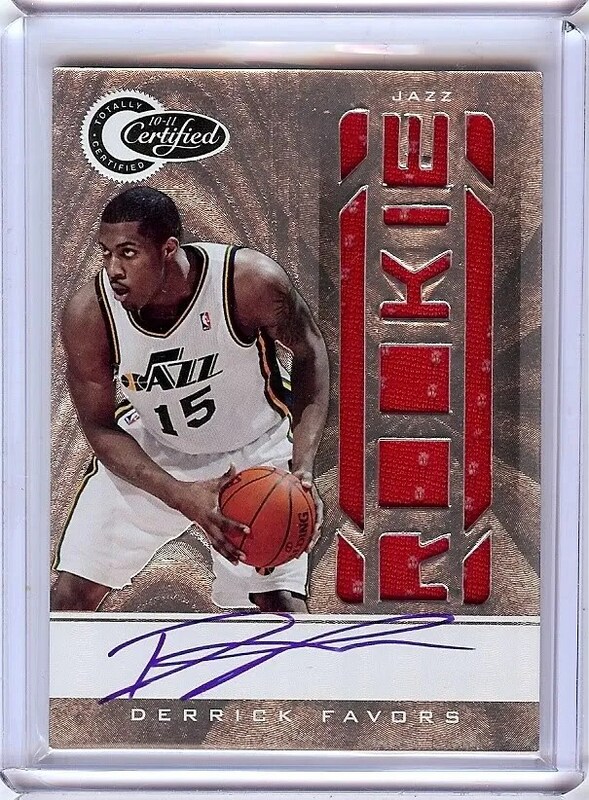 As with all 2010-11 draft picks, Derrick Favors’ best rookie card is the National Treasures patch/auto #/99. However, that card can run you quite a bit of money. Considering his Gold Standard, Classics, Threads or Totally Certified if you are looking for a nice on-card autograph rookie … however you really can’t go wrong with any of his cards from this list. Keep in mind, there are many parallel and other autograph cards from his rookie season – these are just the main ones from the set.